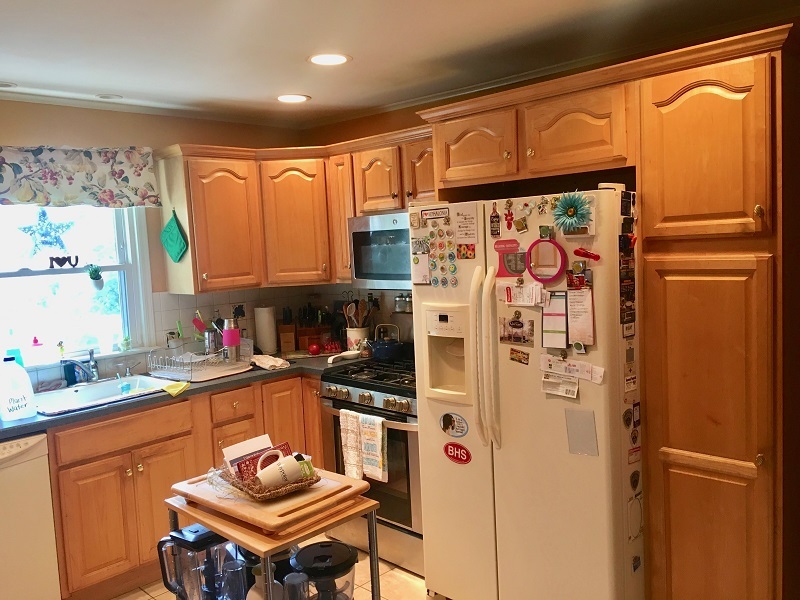 The client was very excited to update her kitchen. 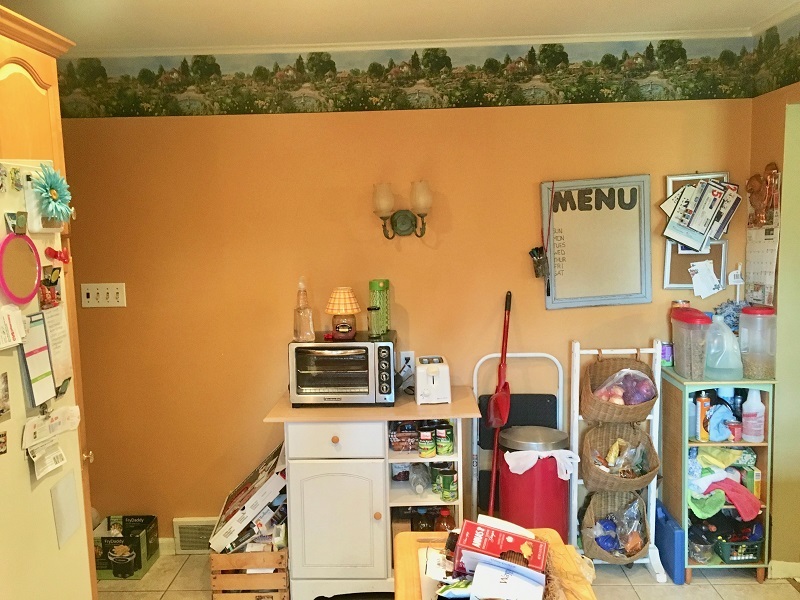 She wanted a more inviting place to showcase her amazing cooking skills. 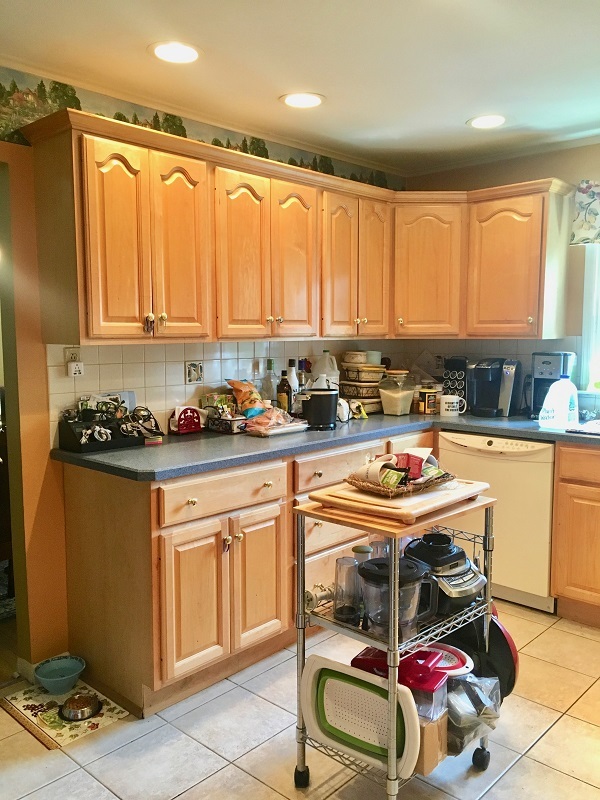 The layout remained, but the end result was a more complete kitchen with more storage, which allowed for more counter space. 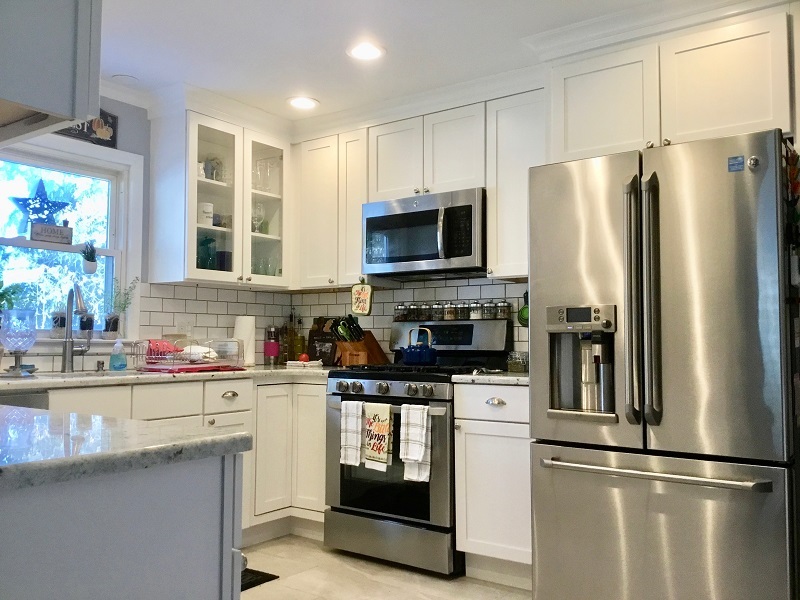 We updated the tile floor, kitchen cabinets, countertop, tile backsplash and appliances. 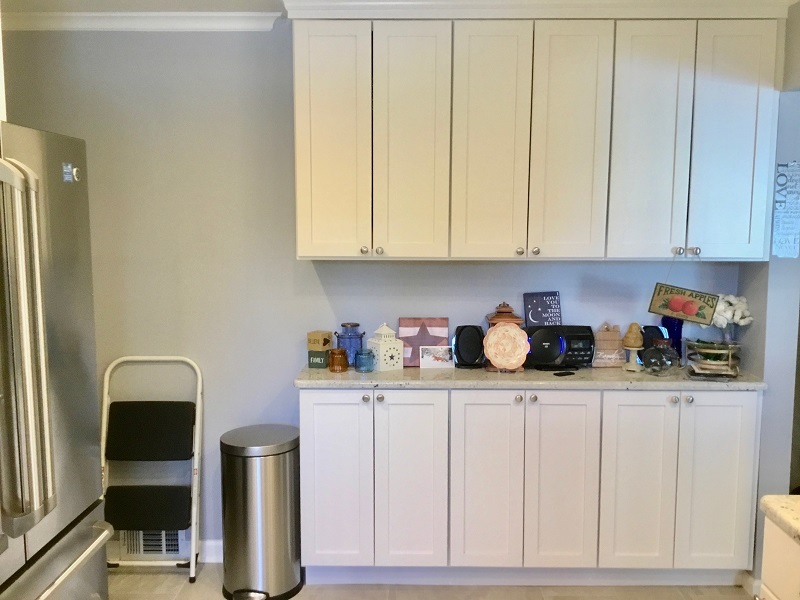 Our pro subcontractors updated the electric and plumbing to code. 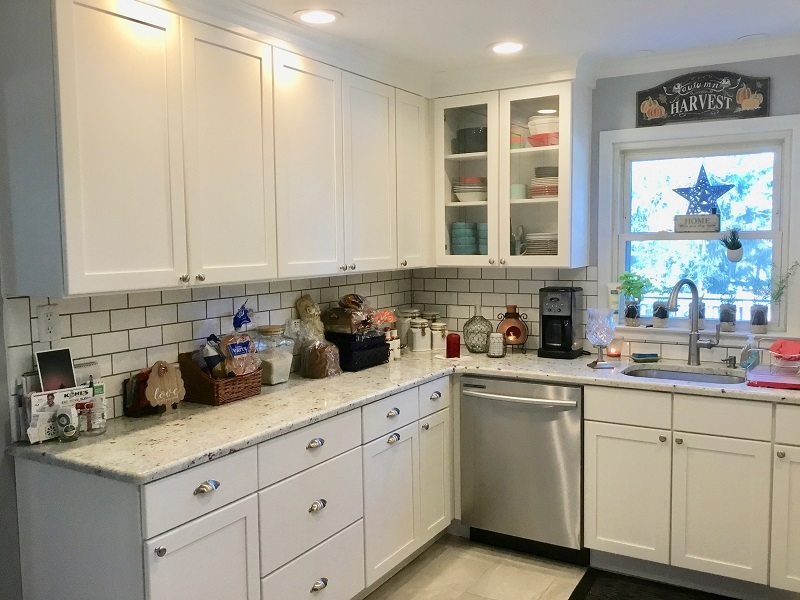 We finished the kitchen with a beautiful new gray paint which highlighted the countertop, grout color, appliances and floors.